The screen is black. A broadcast is heard. George W. Bush has won the re-election. Cut to a nervous woman, Mary Mapes (Cate Blanchett), knitting while waiting in a lobby in long shot. <Odd hang time here> What is she waiting for? The year was 2005 and suddenly Dan Rather steps down as anchor. Why? Thus begins the ending of what “60 Minutes” was. 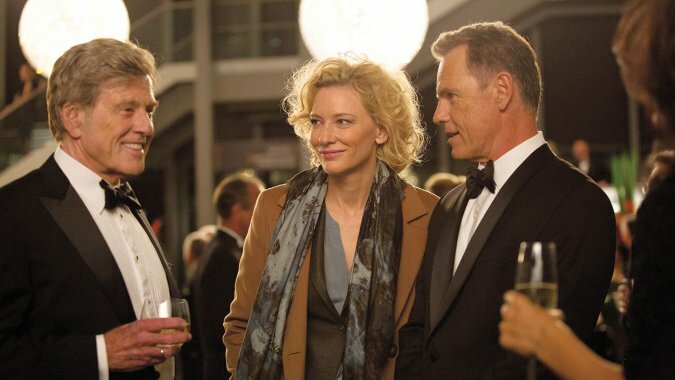 Robert Redford brings his usual brilliance to screen as the legendary Dan Rather. I guess it takes a legend to portray one, because I cannot think of anyone else that could have pulled it off with such finesse. My first encounter was The Natural, but Indecent Proposal, and Spy Game (I know there is so much I haven’t explored) were so vastly different in subject matter and tone, yet his suave transcends and doesn’t disguise the truth of the characters. Dennis Quaid, Topher Grace, and Elisabeth Moss (Nice to see Peggy Olson again) performed well, too, but Blanchett stole the show. As a Bush supporter, I was skeptical of Truth from the beginning for its subject matter. However, I was just as caught off-guard when I heard that Dan Rather was stepping down as anchor back in 2005. Whether Truth is accurate or not it encourages the pursuit of truth at all costs. Question everything. The kind of determination it takes to stay the course that Mapes, Rather, and the team possessed while facing such threatening consequences, is inspiring and motivating. Truth is suspenseful, engaging, and thought provoking. James Vanderbilt, the director, should have perhaps watched his timing in certain areas, but overall well thought-out flow to the film. Truth is a wonderful mix of the work life and private life of Mapes, the newswoman behind one of the greatest newsman of all time. Rarely does the public see the man, or in this case the woman, behind the curtain. 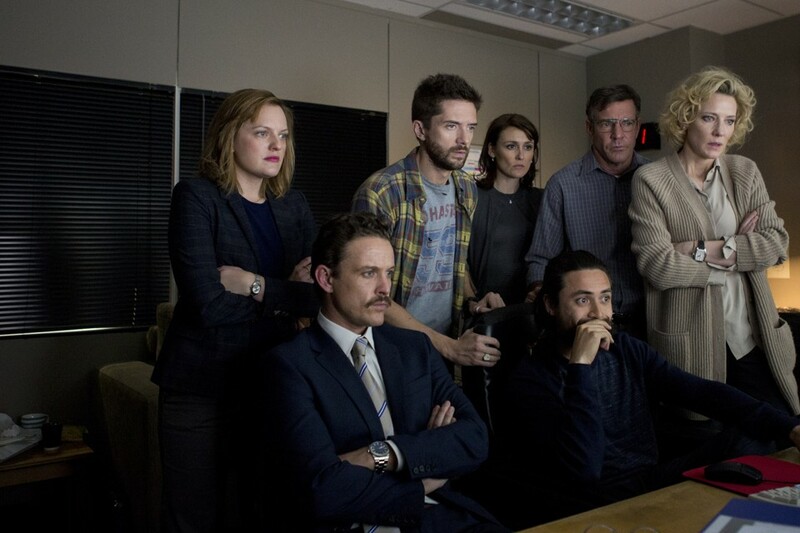 As the film suggests, news reporting has loss some of its integrity in reporting the truth and questioning everything. Have we traded our pursuit of truth for temporal things like money, secrecy, allegiance, a sense of duty, or something else? Sure some truths should probably never be revealed or at least not until the proper time, but the truth should always be pursued. FEA. DVD Review: ‘Shelby: A Magical Holiday Tail’! This entry was posted on Wednesday, October 28th, 2015 at 6:33 pm	and is filed under Film, News. You can follow any responses to this entry through the RSS 2.0 feed. You can skip to the end and leave a response. Pinging is currently not allowed. « ‘Ash vs. Evil Dead’ Already Renewed for Season 2! !